Use the top orange and green menu bars to select recipes by a particular category or use the search box at the top of this page to search for ingredients in a recipe. With over 50 soup recipes to choose from you are spoilt for choice. From our hearty winter vegetable soup to lighter soups such as carrot and coriander, they have all been cooked at least twice by us so that you will have perfect results every time. Professional soups for the amateur cook. 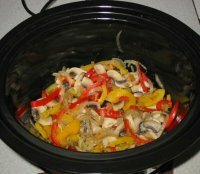 Slow cooker meals are easy tasty and very economical. From the traditional beef stew to our more exotic Fragrant Chicken Curry, all come with pictures and detailed instructions. If you need help selecting a slow cooker then try our review page of 32 slow cookers with feature by feature details. Any problems? 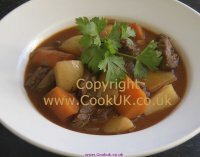 Try our useful hints and tips page for slow cookers. Winter calls for warming and satisfying meals to fight the effect of the cold. A perfect example of this is meatloaf. A particularly tasty example is our Neapolitan Meatloaf with egg in the centre. It sounds complicated but our step by step instructions make it easy. Steak and Kidney Pie is a traditional British meal that will warm the whole family. Using cheap cuts of beef this is top quality food. 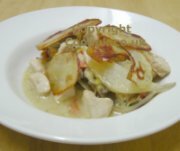 Warming suggestions include authentic Irish Stew or the often forgotten Kedgeree recipe. For warming and very cheap meals look at our large selection of slow-cooker recipes. 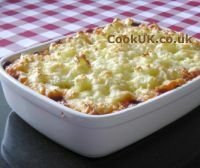 For non-meat based meals our Cheese and Onion Pie is a true delight and we have taken very cheap to make potato cakes to a new level with a step by step video. Lemon drizzle cake is cheap, very simple but very tasty. For those who love chocolate cake our recipe takes you through the baking process step by step to a decadent, simple to make cake which will impress you, family and friends. If a savoury breakfast cake appeals to you then Brummie Breakfast Cake is a delight that no amateur cook can muck up. Copyright 2006 - 15 David Marks. All rights reserved.